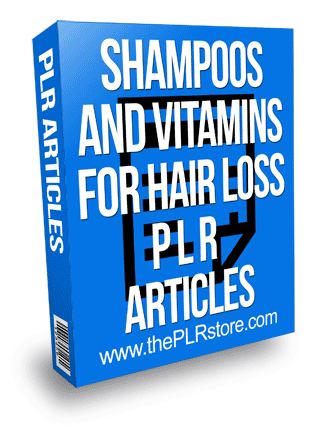 Shampoos and Vitamins for Hair Loss PLR Articles is ready to use copy and paste content for a important niche in easy to edit format with private label rights. Hair Today, Gone Tomorrow: What’s in Your Shampoo? 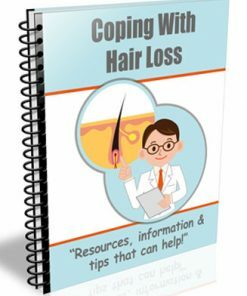 Today, many women and men are looking for help to cure hair loss. It is a problem affecting one’s social life. Most of us feel that the outer appearance is an important thing to be successful. 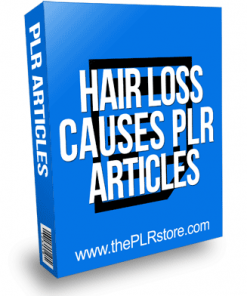 Hence there is great need for hair loss products. There is more to caring for your hair to reduce the chance of hair loss, you must learn to shampoo your hair properly and with the right products. 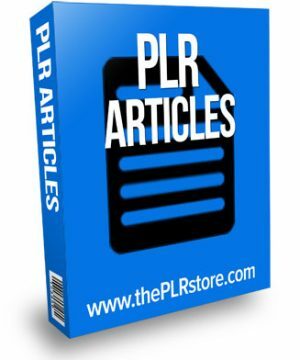 These 39 articles are going to give you some great tips on caring for your hair, vitamins and other natural products you can use to take the best care of your hair possible! 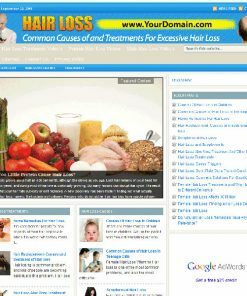 Natural vitamin supplements are useful for general health as well as health of hair. Many people take natural vitamin supplements to make up for the lack of nutrition in their food. An antioxidant, vitamin A helps to produce healthy sebum in the scalp. The presence of vitamin B6 prevents hair loss and helps in production of melanin, the pigment which gives hair its color.